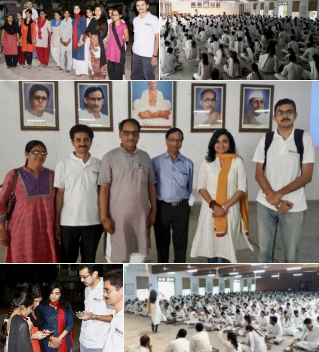 VoSAP’s “Youth connect” program has now inspired 400+ masters degree students of Gujarat Vidyapeeth, founded in 1920 by Mahatma Gandhiji. “Antyoday” dream will come true when every Specially Abled Person is Empowered. These students are the future change makers to create Inclusive India for which Gandhiji worked so hard. We at VoSAP also strive for creating inclusive India, specifically for Divyang Jan, Specially Abled People and glad to have hundreds of Gujarat Vidyapeeth students joining our mission. We congratulate Shri Kamleshbhai and Pradip ji for their support, commitment for VoSAP mission.